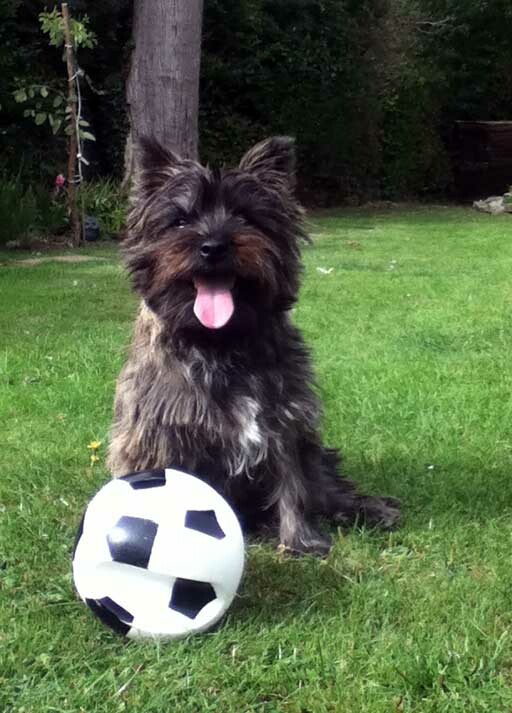 Cairn Terrier Toby is Quantock Pet of the Month! There are a few really ‘BIG’ medical emergencies – emergencies that are life threatening, really challenging to treat, complicated and highly intensive. 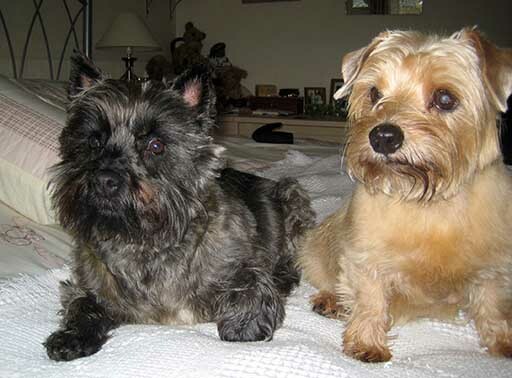 Toby – a lovely little Cairn Terrier who wasn’t yet six year’s old – suffered from perhaps one of the most serious combinations of these emergency conditions. 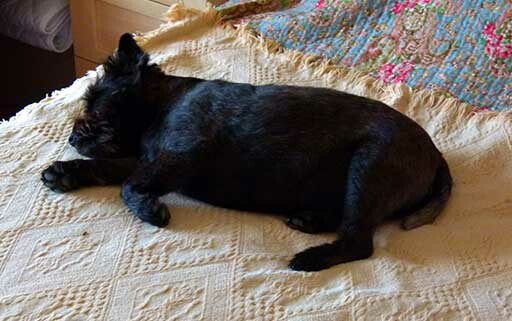 Mrs Neale, Toby’s owner rushed him in for an emergency appointment early one Sunday morning. Toby had been losing weight, drinking excessively and had just started repeatedly vomiting. He was a shadow of his normal self and looking very poorly when he was admitted into the Hospital that morning. After a series of blood and diagnostic tests run in the Hospital we diagnosed a number of serious problems. Each of them in their own right was serious and potentially life threatening – combined together we were facing a very critical situation. 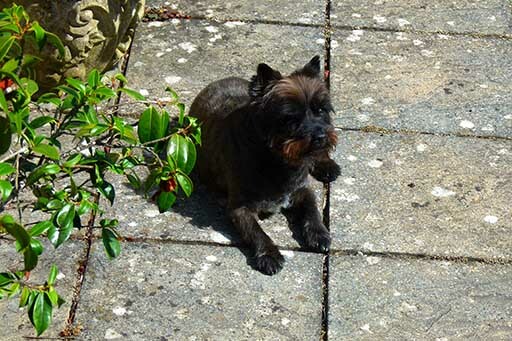 Toby was diagnosed that day with a newly developed diabetic crisis (diabetic ketoacidosis), acute pancreatitis and a respiratory condition (likely caused by aspiration of vomit). Intensive care treatment was immediately implemented to treat each of these conditions. The challenge of this combination of conditions was that they were highly dynamic and changing hour by hour and they each made the other more difficult and challenging to treat. Emergency intensive care treatment involved the use of multiple drugs, intravenous infusions of insulin, multiple different intravenous electrolyte and glucose infusions, and serial hourly blood tests. Toby was hospitalized and in intensive care for 12 days, at the end of which he trotted out, and went home with Mrs Neale! 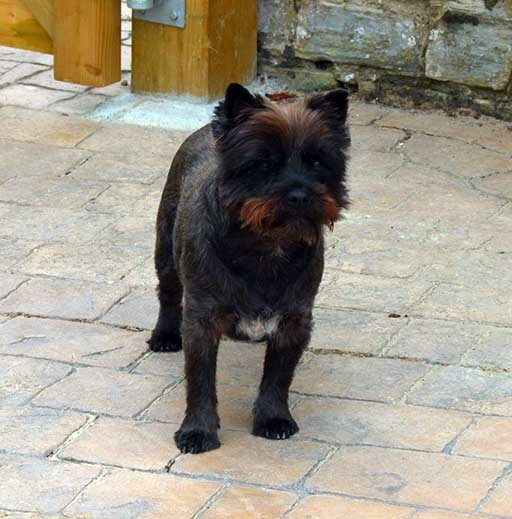 Mrs Neale explained “Our lovely Cairn Terrier Toby was a bit over weight, we called him Tubby, so he went on a diet. Our old dog Pepper was ill so I was not surprised when someone was drinking all the water and wetting in the night. I didn’t think it could be Toby. Then I thought Toby was losing a bit too much weight so I decided to take him into Quantock Vets to have him weighed the following Monday but he suddenly went downhill. Early Sunday morning he started vomiting violently and I knew we couldn’t wait another day. I had to get him into the Vets as soon as possible. “Dominic and his team went into action straight away so I knew he was in safe hands but it wasn’t until I spoke to him later that the seriousness of his condition was apparent. I was so worried and felt guilty that I hadn’t spotted his symptoms earlier. I didn’t even know dogs could be diabetic. “I was consulted and reassured all through his treatment and the dedication and love Toby must have felt helped him have the will to live. It was difficult at times to know how he was recovering as he is such a chilled out dog you would think he was in a coma when he was just asleep, which is 90% of the time, and lets you do whatever he needs without any fuss. “After a traumatic 12 days it was lovely to get him home but I know it is thanks to everyone at Quantock vets that this has been possible. Mr and Mrs Neale have learnt how to administer the twice daily insulin injections needed for the long term treatment of his diabetes. We have seen Toby regularly since for check ups and follow-up tests and each time he has looked better and better – now he is back to his right weight, bright, happy and glossy! Huge congratulations to Toby – and his loving owners Mr and Mrs Neale for their compassion and dedication!